Date: Mar 26 2019, 2:30 p.m. - 4:30 p.m. Looking for something to do with your children indoors? 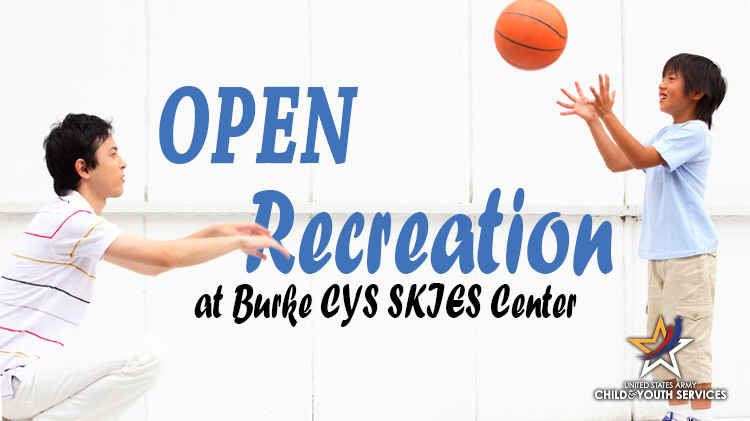 Come out to the Burke CYS SKIES Center's Open Recreation! Items available for free play include basketballs, hula-hoops, scooters, frisbees, footballs, bouncy balls, roller-skates and more. Parents are required to stay with their children during this time. All participating children must be registered with CYS. Visit the Parent Central Services page for more information on registration.